Arnold and Eefje started their journalistic career in written journalism. Arnold wrote a lot about Russia and Eefje wrote mostly about Iran. Now they write less regularly, but publications are still part of most of their projects. To find an audience for new media projects, old media is still important. They publish in De Groene Amsterdammer, Vrij Nederland, Trouw, Wordt Vervolgd and others, but also in international media such as the Spanish Ojopedez, the French Le Monde and the English Sunday Times. 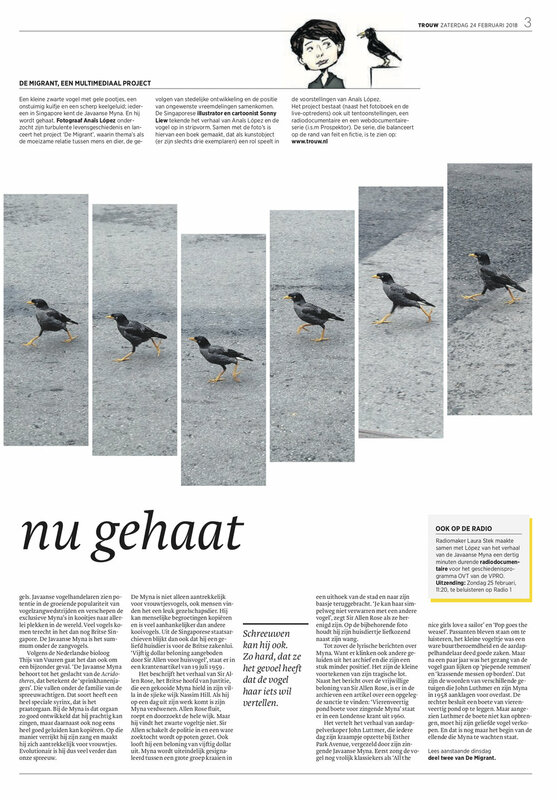 For the transmedia project The Migrant we collaborated with the daily newspaper Trouw in which we published a spread three times. For the transmedia project Love Radio, Anoek and Eefje published in many (inter)national media outlets, such as Vrij Nederland, De Correspondent, 360 and Le Monde. Eefje and photographer Anoek Steketee published multiple stories in Vrij Nederland, about Dollywood, Luna Park Beiroet and Rwanda. They also published a story in the Spanish Ojodepez. Holy Arnold and photographer Anoek Steketee published this article and photoreport in Vrij Nederland about the Church of the Holy Sepulchre and her ‘habitants’ in Jerusalem. An adapted version of this story also appeared in the book Guest in Israel. 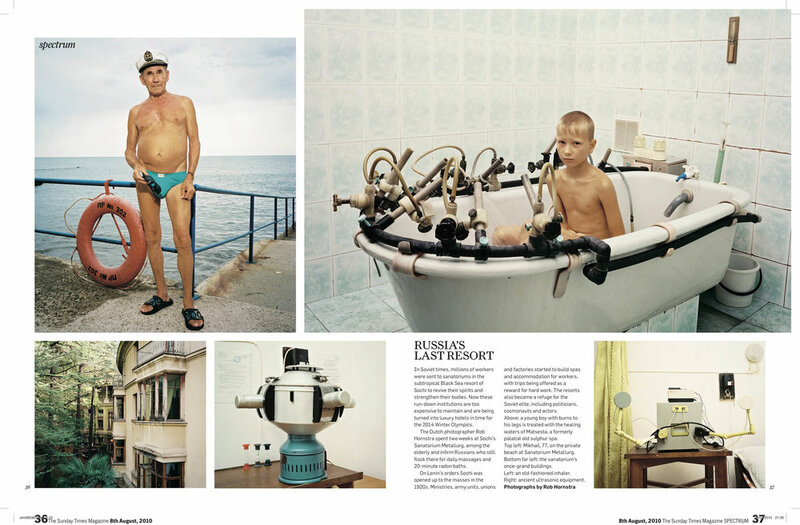 As part of The Sochi Project, Arnold and photographer Rob Hornstra published many articles (inter)nationally, for example in Vrij Nederland about the Second Caucasus war and the Sochi Singers in De Volkskrant. Thousands of Indonesians dress up as colonials. Why do they get into the shoes of their former oppressors? Arnold wrote an article about this in Vrij Nederland. Photography by Anoek Steketee. Between 2002 and 2007 Eefje lived in and regularly visited Iran to do research for her thesis 'The Image of War' on the propaganda during the Iran-Iraq War, worked on the archive for the International Institute of Social History and wrote her book ‘In secret everything is possible here’ and articles. After publishing her book she couldn’t go back to Iran, but kept following the developments in the country. 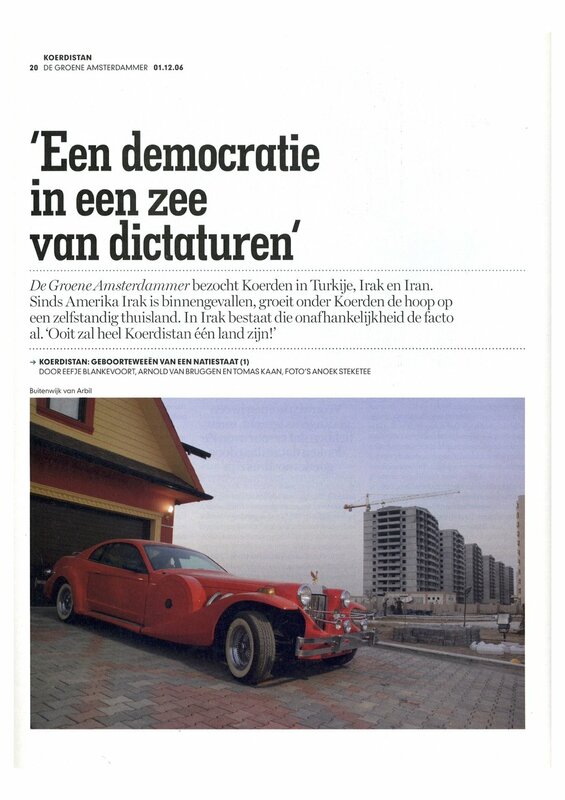 The first article about Iran was a publication by Eefje and Arnold in Vrij Nederland, in connection with an exchange trip with Iranian students in 2002. Eefje wrote articles about modern art, homosexuality, internet censorship and the women’s movement (for De Groene Amsterdammer) and about (Hollywood) films and Iran for Trouw and Knack. She interviewed prominent Iranian artists and intelectuals such as Nobel prize winner Shirin Ebadi, filmmaker Bahman Khobadi, artist Reza Abedini and journalist/filmmaker Maziar Bahari. For Columbus travel magazine she made the story ‘Kitsch Kish’ together with photographer Anoek Steketee. She also wrote for Vrij Nederland about the turbulent Iranian presidential elections of 2009: Part I, Part II, Part III (in Dutch). During this time colleague and friend Maziar Bahari was imprisoned. Eefje wrote about his imprisonment and its aftermath at many occasions, for Villa Media, IDFA and De Groene Amsterdammer amongst other. Besides this, Eefje compiled the travelbook Guest in Iran. Ook schreef ze voor Vrij Nederland over de turbulente Iraanse presidentsverkiezingen van 2009: deel I, deel II, deel III. Daarbij werd o.a. collega en vriend Maziar Bahari gevangengenomen. Eefje schreef veelvuldig over zijn gevangenschap en de nasleep daarvan, o.a. voor Villa Media, IDFA en De Groene Amsterdammer. Daarnaast stelde Eefje het reisboekje Te Gast in Iran samen. Arnold and Eefje wrote multiple travel stories for Columbus travel magazine, for example about Iceland and Croatia. 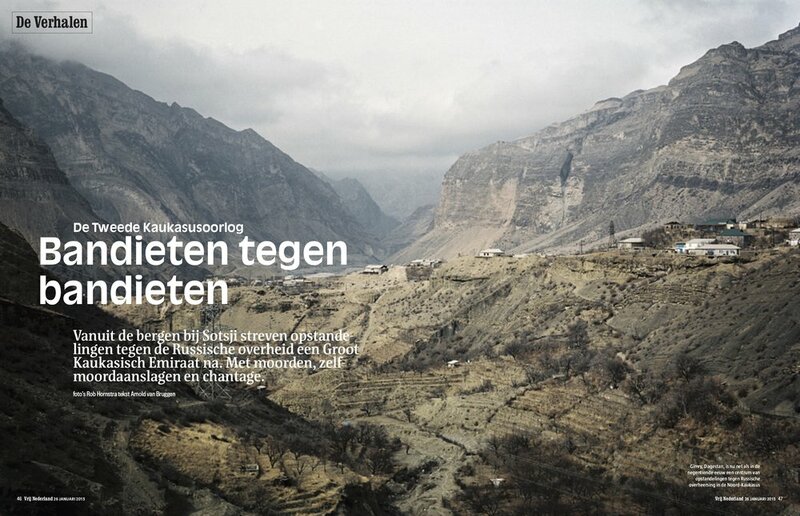 In 2006 Arnold and Eefje travelled various regions of Kurdistan together with photographer Anoek: Turkey, Iran and Iraq. They published stories in the Belgian Knack and De Groene Amsterdammer. It also turned out to be the beginning of the project Dream city, about amusements parks around the world. In Vrij Nederland, they published about vacation in Iraq. In December 2004 Arnold and then Prospektor partner Thomas Kaan saw their chance to experience the Orange revolution from up close. To see, smell and hear what a revolution actually is. 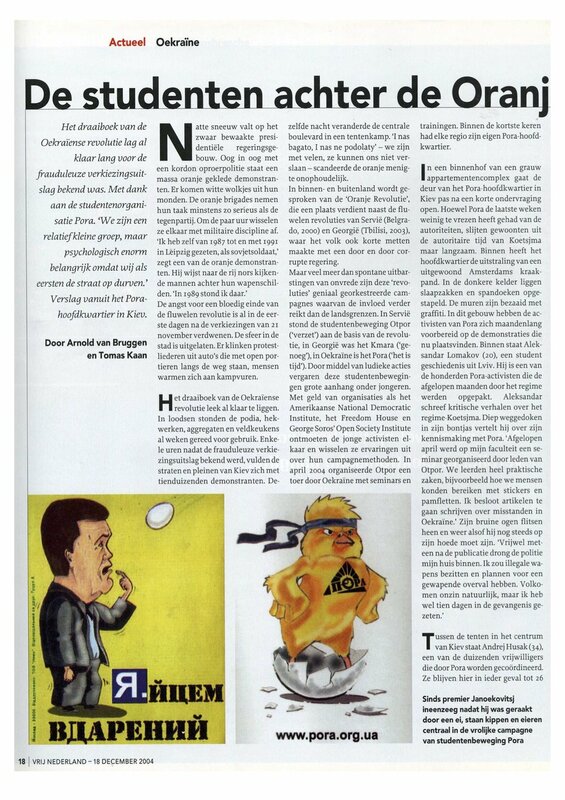 They wrote a long-read about The Orange Revolution in Ukraine for Vrij Nederland. A year later – December 2005 – they travelled back to interview the same people and describe how their lives had changed since the revolution. 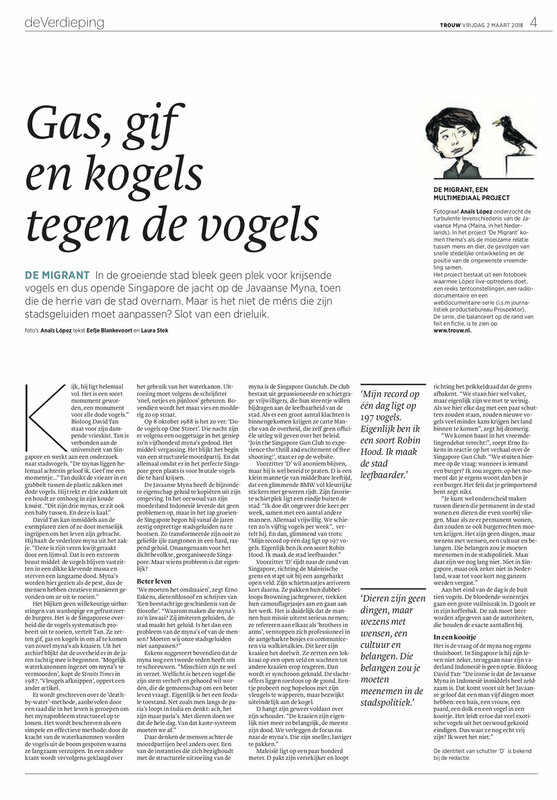 The result was once again published in Vrij Nederland. For the magazine SOS international, a charity organisation which coordinates help for stranded Dutch travellers worldwide, Eefje wrote columns about travel, adventure and risks.